At Flight Centre, all of our holidays can be tailor made by our Travel Experts to suit you. With that in mind, we've listed some of our favourite options for a Northern Territory holiday, all of which can be added to our existing Australia holiday itineraries, or simply added to your flights. To book or for more ideas, talk to one of our Australia Experts today on landline: 0800 587 0058 or mobile: 0333 333 2211. Make the most of your time in Darwin with this three-night itinerary featuring two exciting day tours. Staying at the Oaks Elan Darwin, you'll spend one day visiting the nearby Tiwi Islands by ferry before being met by a local guide who will show your through the modern day Aboriginal community of Nguiu. The next day you'll be driven to the nearby Litchfield National Park where you'll get a taste of the Outback, complete with termite mounds, rock formations and glorious waterfalls and rockpools, many of which you can swim in. Fall in love with Australia's largest national park on this five-night add-on holiday. Choose between three nights at the 3.5-star Cooinda Lodge or the 4.5-star Wildman Wilderness Lodge, followed by two nights at the Indigenous owned, eco-resort, Cicada Lodge near the Katherine Gorge. During your stay you'll venture into forests and through the savannah to Leichhardt Point (if you're staying at Wildman Adventure Resort) to watch the sunset while enjoying a glass of Champagne. For even more adventure, you'll also enjoy a cruise of the Yellow Water Billabong where you'll pass by plentiful wildlife including water buffalo, jabirus (birds) and of course, plenty of crocodiles. 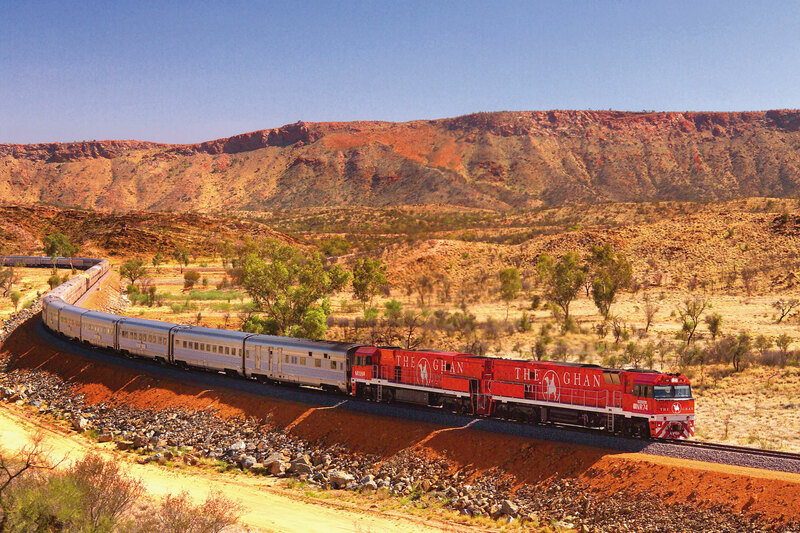 Perfect for adding on after visiting Uluru (Ayers Rock), with this holiday extra you'll explore the Outback town of Alice Springs before boarding The Ghan, the most scenic railway journey in Australia. Enjoy your overnight journey in a Gold Twin cabin before disembarking in Darwin. While there you'll enjoy four nights, including a three-day tour of Kakadu and Litchfield National Park with AAT Kings. You'll experience the very best of Australia's Top End complete with a cruise of the Yellow Water Billabong, a Guluyambi cultural cruise with a local Aboriginal guide, and a picnic lunch at Litchfield National Park. Swim under waterfalls, cruise through Katherine Gorge and spy crocodiles (from a safe distance) on this luxurious Kakadu and Katherine holiday add-on. It features the very best accommodation in the region, including two nights at the 5-star Bamurru Plains in Kakadu National Park, two nights at the 4-star Davidson's Arnhemland Safaris in Arnhem Land and two nights at the 5-star Cicada Lodge in Katherine. To enhance your experience even further you'll also take part in the unique Jawoyn rock art tour where you'll fly in a helicopter to the remote and historic land of Jawoyn, swim in beautiful rock pools and admire ancient Indigenous rock art. Starting with a night in Darwin, this five-night holiday will see you join a four-day Tropical Top End tour with AAT Kings. 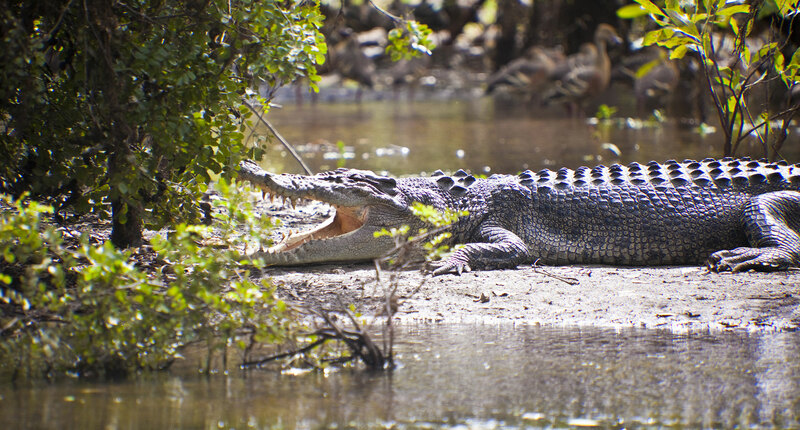 From Darwin you'll be taken to Kakadu National Park where you'll be able to see Aboriginal rock art, enjoy a guided walking tour, and a cruise of Yellow Water Billabong to see Australia's famous jumping crocodiles. You'll also enjoy a cruise of a different kind down the awe-inspiring Katherine Gorge. No matter what time of the year you visit, the Top End is always warm so there will be plenty of opportunities to swim in the various rock pools, so don't miss swimming under a waterfall in Litchfield National Park. The perfect add-on if you're looking to experience Uluru and Australia's Red Centre, you'll enjoy three nights at the Voyages Desert Gardens Hotel in Uluru and two nights at the Crowne Plaza Alice Springs Lasseters. To make the most of your stay in Uluru, you'll enjoy a guided coach tour of the region during the day, when you'll get a feel for the local landscape and Aboriginal culture before visiting Uluru to watch the sunset from the viewing area. Finish the day with an Australian barbecue served under the stars. This holiday also includes a tour to Kings Canyon, on which you'll hike through Watarrka National Park to enjoy spectacular canyon gorge views.